Proteins are a vital part of all living beings may that be humans, animals or plants. Every form of life is made by this protein block of structure. Plant proteomics is the wide study of proteins in plants. The plant proteome is very fascinating and has been a very popular topic among the researchers. The genome sequencing of plants in this era will help in the better understanding of the the plants and will help in ensuring the food safety, food security and human health. This helps the high throughput techniques to be used and providing a means or a platform to disclose and reveal the secrets of plant genes . Analysis of the plant proteomics is done by mass spectroscopy techniques. The analysis of plant pathogens can also be done with of plant proteomics. Identification of the functional proteins is also possible due to the approach of proteomics. 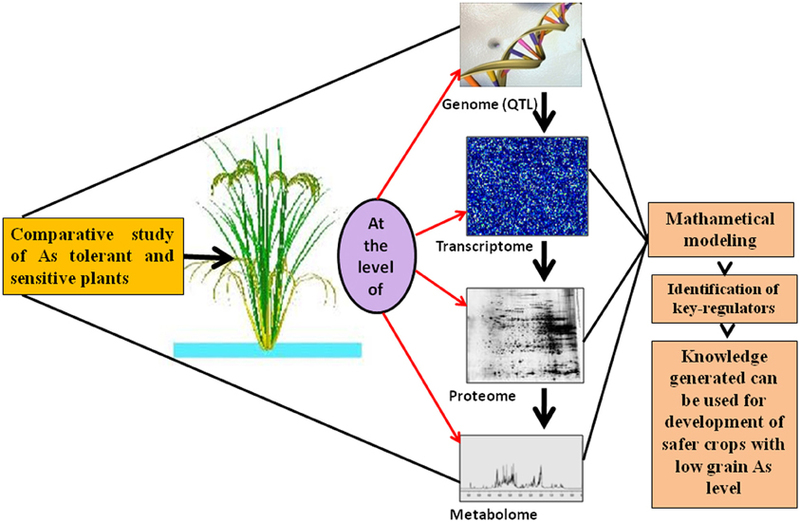 One of the applications of proteomics in the agricultural field is the bioenergy crops and microalgae. The recent advancement in the plant proteomics include production of the biofuel. The organizers holds no responsibilities or liabilities of the personal articles of attendees at the venue against any kind of theft, loss, damage, due to any reason whatsoever. Delegates are entirely responsible for the safety of their own belongings. No insurance, of any kind, is included along with the registration in any of the events of the organization. Please note that transportation and parking is the responsibility of the registrant, Allied Academies will not be liable for any actions howsoever related to transportation and parking. Press permission must be obtained from Allied Academies Conference Organizing Committee prior to the event. The press will not quote speakers or delegates unless they have obtained their approval in writing. The Allied Academies is an objective third-party nonprofit organization and this conference is not associated with any commercial meeting company. For security purposes, letter of invitation will be sent only to those individuals who had registered for the conference after payment of complete registration fee. Once registration is complete, please contact vaccinecongress@alliedmeetings.com to request for a personalized letter of invitation, if not received until one month before the scheduled date of event. All the bank charges applicable during refund will be deducted from the account of participant. If, due to any reason, Allied academies postpone an event on the scheduled date, the participant is eligible for a credit of 100% of the registration fee paid. This credit shall only be used for another event organized by Allied academies within period of one year from the date of rescheduling. If, due to any reason, Allied academies postpone an event and the participant is unable or unwilling to attend the conference on rescheduled dates, he/she is eligible for a credit of 100% of the registration fee paid. This credit shall only be used for another event organized by Allied academies within period of one year from the date of rescheduling. All registrations, after payment of complete registration fee, are transferable to other persons from the same organization, if in case the person is unable to attend the event. Request for transfer of registration must be made by the registered person in writing to finance@alliedacademies.com. Details must include the full name of replaced new registrant, their title, contact phone number and email address. All other registration details will be assigned to the new person unless otherwise specified. However, Registration cannot be transferred if intimated within 14 days of respective conference. Important note for failed visa applications: Visa issues are not covered under the cancellation policy of Allied academies, including the inability to obtain a visa. Before 60 days of the conference: Eligible for Full Refund after deduction of $100 towards service Fee. Accommodation Service Providers (Hotels) have their own cancellation policies which are applicable when cancellations are made less than 30 days prior to arrival. If in case the registrant wishes to cancel or amend the accommodation, he/ she is expected to inform the organizing authorities on a prior basis. Allied academies will advise the registrant to ensure complete awareness about the cancellation policy of your accommodation provider, prior to cancellation or modification of their booking.